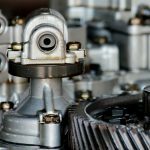 How Does Your Car Transmission System Work? 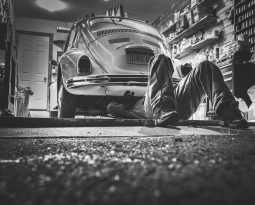 Are you curious about the workings of your vehicle? You’re not alone. Many wonder how their Transmission System functions. If you’re interested, that’s not a bad thing. It’s always good to have an idea of how your car gets you from Point A to Point B. In this article, we’re going to walk you through your Auto Transmission System. Some vehicle owners wrongly believe transmissions and engines are one and the same. This is completely untrue. To put it simply, your transmission is a powertrain. While your engine creates pure energy, your transmission converts that force into a controlled source of power. It acts as a mediator between your engine and your wheels, converting power into torque (or rotational force). This force is transferred to the axles that turn your wheels and put your vehicle in motion. Let’s take a closer look at this process. The engine of your vehicle creates power. That power is sent to something called a crankshaft. But this power is too huge and complex to create a single, usable speed for you, the driver. If you connect your wheels to the crankshaft, you’ll be subjected to dangerously high speeds and zero control. That’s where your transmission comes into play. It can keep your engine and wheels at optimal RPMs (Rotational Speed). The process above is accomplished through the magic of gear ratios. These toothed gears interact with one another to produce torque. 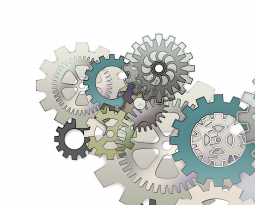 A gear ratio is simply the relationship between the gears. You may have an input gear with twenty teeth that must interact with an output gear with ten teeth. To spin the gear with twenty teeth, the gear with ten teeth must make two full rotations. Your gear ratio is calculated by dividing the number of teeth on an output gear by the number of teeth on an input gear. In this situation, your ratio is 1:2. 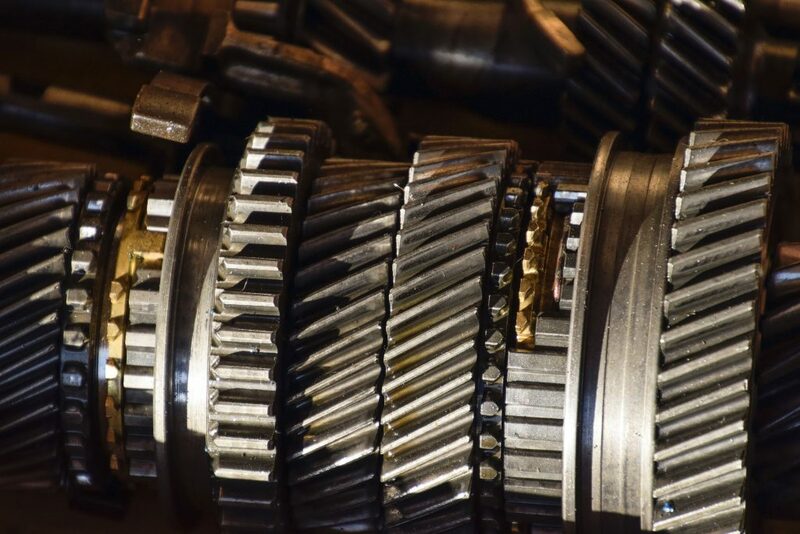 There are many gears in every transmission – each with differing sizes. This allows for a number of ratio combinations. Gears don’t always have to relate in combinations of two. They can work together as well. When gear ratios change, the speed of your vehicle changes. When your vehicle is placed in neutral, reverse, or park, the ratios change again. In neutral, your engine is disconnected from the wheels entirely. In reverse, the wheels run in the opposite direction. And, in park, a latch mechanism locks the wheels, preventing them from turning at all. 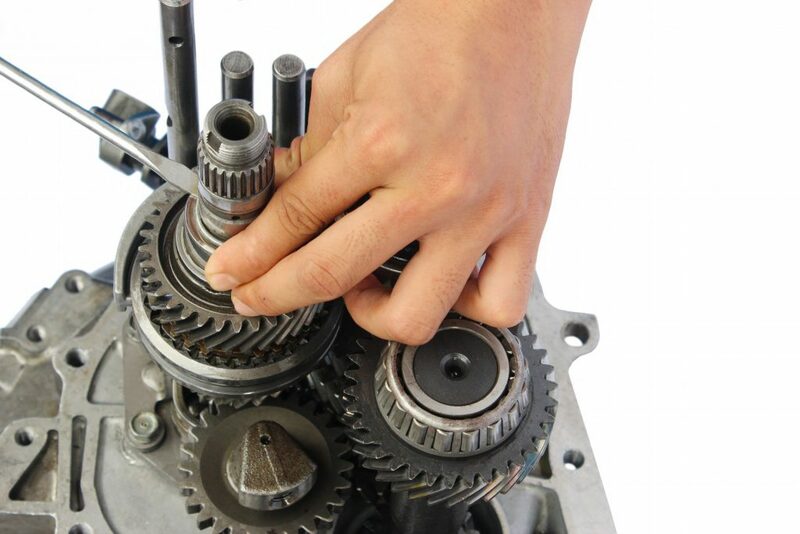 As you likely already know, there are two types of transmissions – automatic and manual. When we talk about how transmissions work, we are generally referring to manual transmissions, since these transmissions came first. When driving a manual vehicle, you must change gear ratios yourself. Your Automatic Transmission System can change gear ratios automatically through the use of fluid pressure. 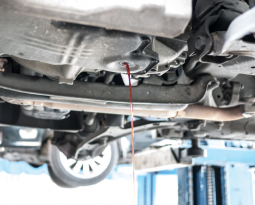 Transmission fluid provides the pressure needed to activate clutches and bands that determine what gear the vehicle should use based on speed. While your Automatic Transmission is far from delicate, it needs the rights things in the right place to run smoothly, including regular check-ups. Your vehicle needs periodic tuning. If you ignore transmission service, dirt and contaminants can build up, often leading to failure. You should have your transmission serviced every thirty to sixty thousand miles. This is a big mistake. As we discussed earlier, your Automatic Transmission System needs fluid to run properly. Without enough fluid, your transmission will experience excessive heat – the leading cause of failed transmissions. If your levels are low, search for a leak or visit a maintenance shop as soon as possible. Not all transmission fluids are made equally. Whether you’re adding fluid yourself or having your vehicle serviced, make sure the fluid going into your vehicle is the right kind. Otherwise, your transmission could experience erratic hydraulic pressure, losing cooling and lubricating properties necessary for ongoing function. Never ignore potential transmission problems. If you notice red fluid stains, strange noises, smells, shaking, or slipping, visit a maintenance shop right away. Damage is inevitable if these problems crop up – but you don’t have to maximize damage by ignoring them. Your transmission requires a specific temperature for optimum use. If you allow your transmission to regularly experience excessive heat, it will eventually fail. 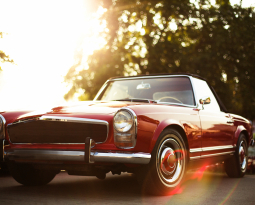 Every twenty-degree increase in fluid temperature can cut your transmission lifespan in half. Interested in learning more? Watch this Car Transmission Tutorial by autopartsshop.com. 5 Star Google Review – John R. (November 2017) – If you are reading this perhaps you are where I was no long ago. My 2006 BMW 330 needed major (transmission) surgery. It is not a fun place to be as a car owner. I was fortunate to find Macy and Crown Transmissions who – like a great surgeon – did a thorough diagnosis and kept me appraised every step of the way. Most importantly, he and his team got my beloved car back on the road, on schedule, and running as good as it ever did. Excellent “bedside” manner and highly competent transmission surgeon. 5 Star Google Review – Jane F. (October 2017) – My 2000 Honda Accord is running great after using Crown Transmissions! I felt very comfortable leaving my car with Mr. Macy. He took time to explain everything step-by-step and was understanding with payments. Crown Transmissions was recommended to me by my mechanic and, after three months, my car is running like new. No worries here. Leave your car with Mr. Macy and sleep in peace! Thanks for doing a great job and fantastic customer service!! 5 Star Google Review – Steffano C. (September 2017) – If you are looking for honesty, this is the place! Five stars are not enough. I came with my Land Rover Freelander with transmission problems. I knew repair would be expensive – even more than the car itself. But after inspection, I was told that my car had several problems and would be way more expensive to fix. I asked if it would be better to buy a new car and the answer was yes. I know if you go to other places, they will try to fix it and charge you a lot of money, but here you’ll find honesty and great service.